The Scribes are a new wave hip hop three-piece consisting of co-lyricists Ill Literate and Jonny Steele and beatbox maestro, whose unique talents have combined to make a much-heralded sound quite unlike any other. The group have performed extensively across the UK and beyond with artists such as GZA from Wu-Tang Clan, Example, Plan B, Prof Green, Chipmunk, Tinie Tempah, Ugly Duckling, MF Doom, Pendulum, Magnetic Man, Westwood, Stereo MCs, Chase and Status, RA the Rugged Man, Macklemore, Dels, Estelle, Wiley, Roll Deep, Goldfinger, Foreign Beggars, Phi-Life Cypher, Skinnyman, Mr Thing, Ray Keith, Ed Case and MC Lars. Support comes from Shrewsburys very own DJ D-Dope, pusher of all things funk, groove, soul and hip-hop. AKA Richard Von Harms, he started out playing hip-hop and drum and bass in Shrewsbury circa 2002 and has been rockin the parties ever since! One half of the Ctrl Alt Disco crew which have a monthly residency upstairs in Alberts Loft. D-Dope will be bringin the hype ahead of the main event, with a set of classic hip-hop vibes to get you in the mode for Bristols finest. 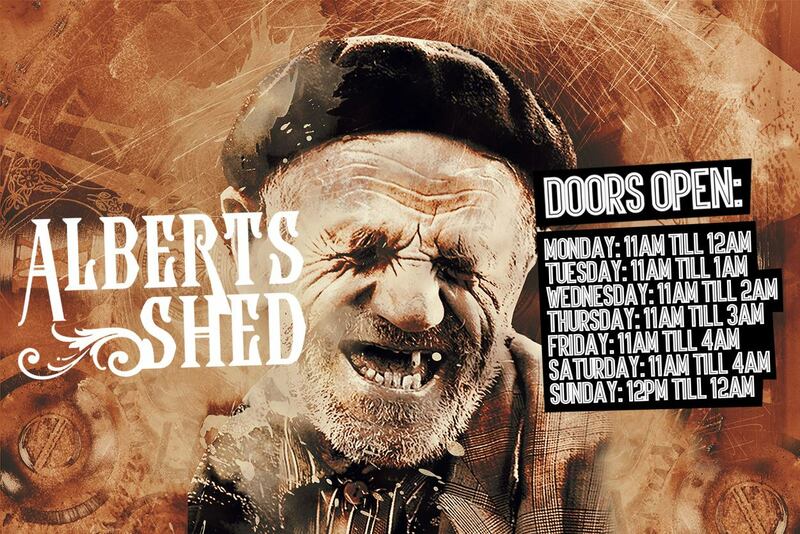 Albert's Shed is Shrewsbury's Premier Live Music Venue.